Prior to 1941 although there were schools in Nugegoda for girls there was not a Buddhist Girls School. Although this lacuna was noticed by many it was Dr.Adikaram who played a pioneering role to fill this lacuna. Due to great efforts made by him this school at present has become the leading Buddhist School which imparts knowledge to nearly 5000 girls. Later he who became its Managing Director made an immense contribution by working generously providing necessary accommodation for it. He who had his preliminary education at Wesly College, Borella and completed his higher education by securing an honors degree from the University of Colombo. He who obtained his PHD from the University of London at age of 28 was a veteran in Sinhala, English, Pali and Latin languages. 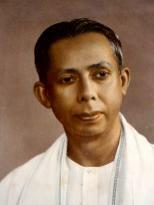 Similarly he rendered a distinguished service to Education in Sri Lanka by setting of Mathugama Ananda Shasthralaya, Battaramulla Ananda Shastralaya, Karawanella Ananda Shastralaya, Udahamulla Maha Vidyalaya and Mahamaya Vidyalaya he too was successful in preparing science books for ordinary level in Sinhala language at a time science was taught in Engkish and directed Sri Lankan education on a new path. He whom served as the Vice Chancellor of Sri Jayawardanapura University edited the English-Sinhala Dictionary. He who was a conspicuous member of the society of vegetarians and was a great a humanist and an educationist and a very humble person passed away on 25thDecember 1985.